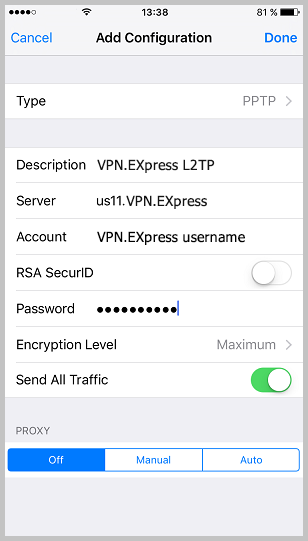 We would suggest you to use VPN.Express iOS app. 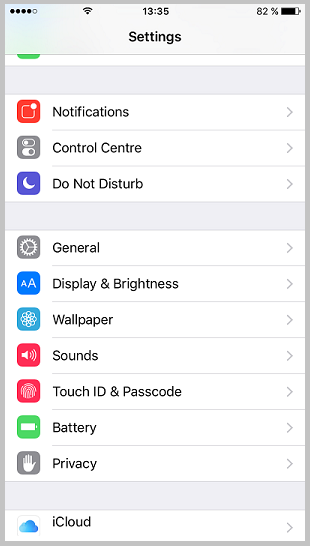 All the information regarding setup and using it can be found here. 4. 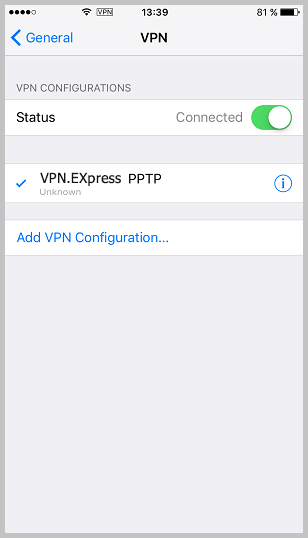 In the Server field type the name or the IP address of a VPN.Express server. 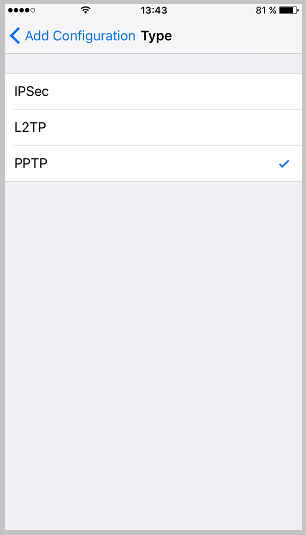 You have to login to your profile and go to our server list. You will find the available servers there. Enter your account name, password, encryption level – Maximum, select Send All Traffic and press Save. 5. 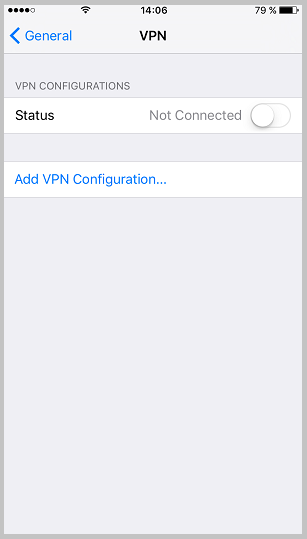 You can now connect to the VPN!